When leaves start changing colors and are carried around by the chilly wind, it really feels like Fall has come. It's an impermanent time, that comes right between the hot summer, but that makes you think about the imminent preparations to face the cold winter days. In Japan, Fall is the season for watching leaves fall, for burning fallen leaves and... The season of roast sweet potatoes! It's the perfect time to relax and to unwind after the active Summer life. 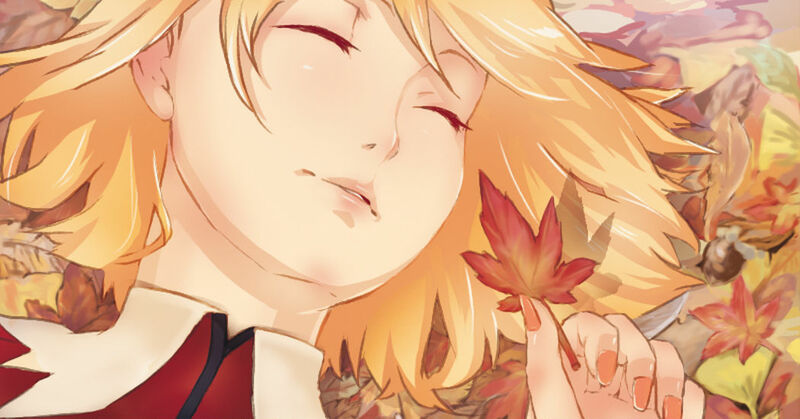 Today we feature some beautiful illustrations portraying fallen leaves. Enjoy!